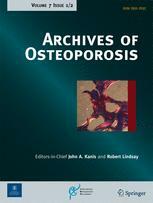 The prevalence of recognized contributors to secondary osteoporosis in South East Asian men and post-menopausal women. Are Z score diagnostic thresholds useful predictors of their presence? Erratum to: The prevalence of recognized contributors to secondary osteoporosis in South East Asian men and post-menopausal women. Are Z score diagnostic thresholds useful predictors of their presence?